Promoter Dennis Hobson Says He'd Have Loved To Have Made A Clinton Woods-Tony Bellew Fight – but who was the better fighter? Promoter Dennis Hobson Says He’d Have Loved To Have Made A Clinton Woods-Tony Bellew Fight – but who was the better fighter? An article from The Sheffield Star asks an interesting question of British boxing fans: who was the greater, more accomplished fighter – Clinton Woods or Tony Bellew? Woods was IBF light-heavyweight champion from 2005 to 2008, during which time he was able to secure victories over fine fighters in Rico Hoye, Glen Johnson and Julio Cesar Gonzalez (twice). 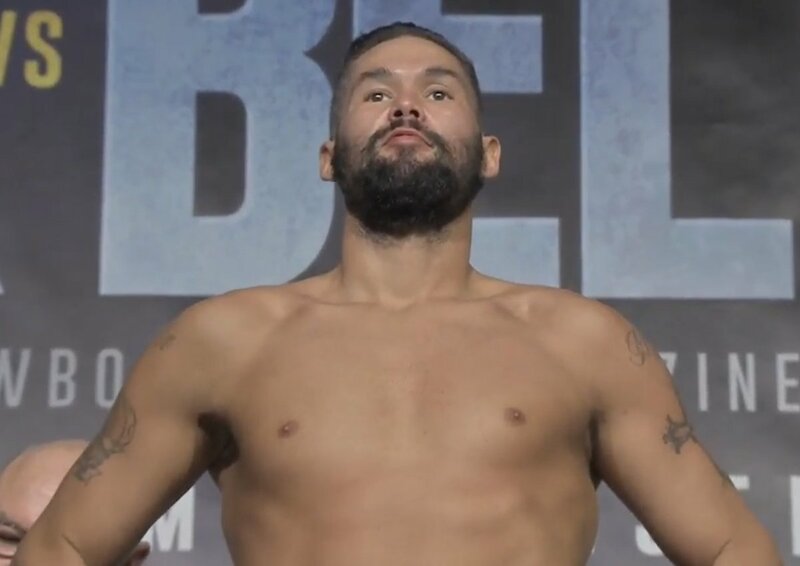 Bellew captured the WBC cruiserweight title in 2016 and picked up notable wins over Illunga Makabu and BJ Flores, before twice beating David Haye up at heavyweight in non-title fights. Bellew, who retired after a crushing KO at the hands of Oleksandr Usyk, was a bigger name than Woods, who retired in 2009 after suffering decision losses to Antonio Tarver and Tavoris Cloud, but was Woods the man with the better overall resume? Promoter Dennis Hobson, who guided Woods all the way to first a massive payday with the great Roy Jones (this corner retirement after six-rounds being the sole time Woods was stopped as a pro) and then multiple world title shots (Woods finally winning the big one on the fourth attempt) says today he would have loved to have been able to make a Wooods-Bellew dream fight. At 175 pounds is seems likely the peak Woods, the one who decisioned the leather-tough Johnson, would have been too much for the Bellew that came apart against Adonis Stevenson. However, had the two gutsy British warriors met at cruiserweight, maybe Bellew would have had the upper hand. Everyone loves a debate and Bellew, 30-3-1(20) and Woods, 42-5-1(25) have their supporters but from this end, the Sheffield Man Of Steel was the better overall fighter. What say you? You are here: Home / Boxing News / Promoter Dennis Hobson Says He’d Have Loved To Have Made A Clinton Woods-Tony Bellew Fight – but who was the better fighter?